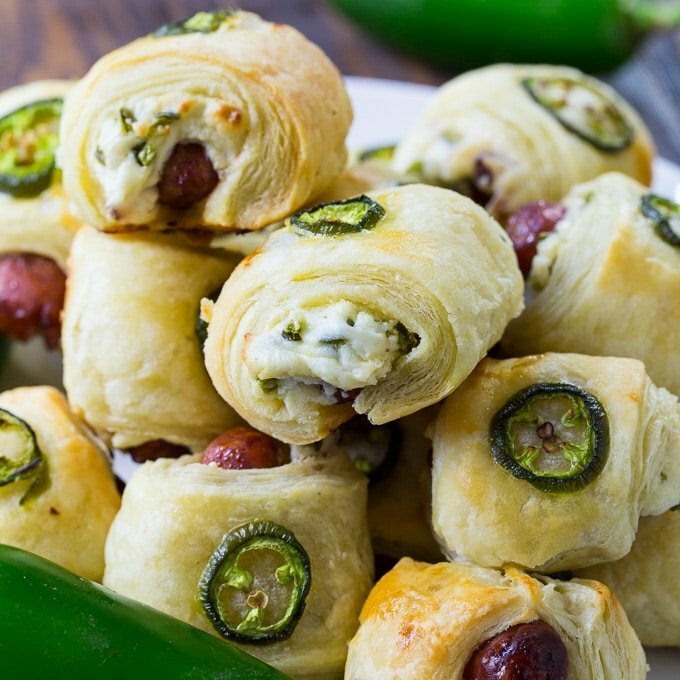 Jalapeno Popper Pigs in a Blanket are a spicy, cheesy appetizer that will get gobbled up at parties and on game day. This recipe turns a childhood favorite into an adult party food. 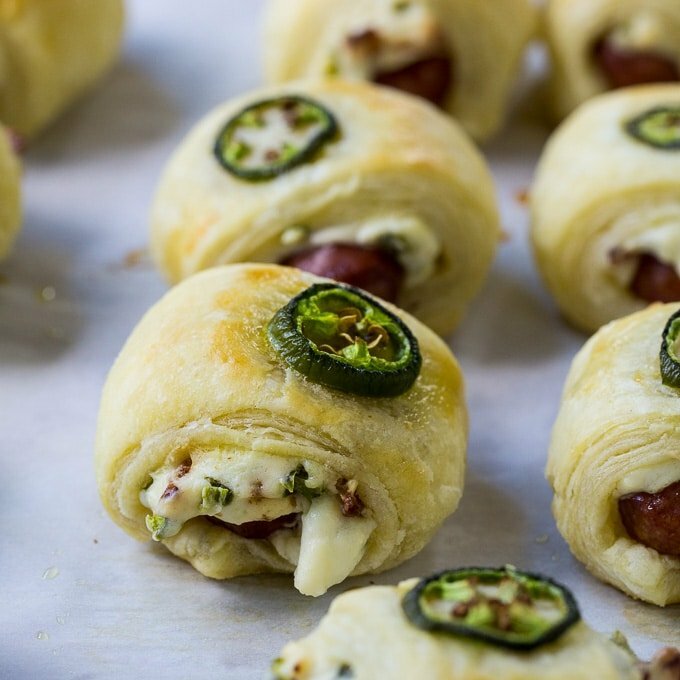 A cocktail wiener, cream cheese, bacon crumbles, and jalapeno get wrapped up in puff pastry and baked until golden brown. I love Jalapeno Popper Pigs in a Blanket as is, but they would also taste good dipped in some Ranch dressing. You can use fresh jalapenos, pickled jalapenos, or canned jalapenos. Your choice. Typically crescent roll dough is used for Pigs in a Blanket, but I love the extra cripsness and butteriness puff pastry provides. No puff pastry? Go ahead and use crescent roll dough. This tasty appetizer can be assembled ahead of time. just be sure to wrap them well in plastic so that the puff pastry does not dry out. Keep them in the refrigerator until ready to bake. 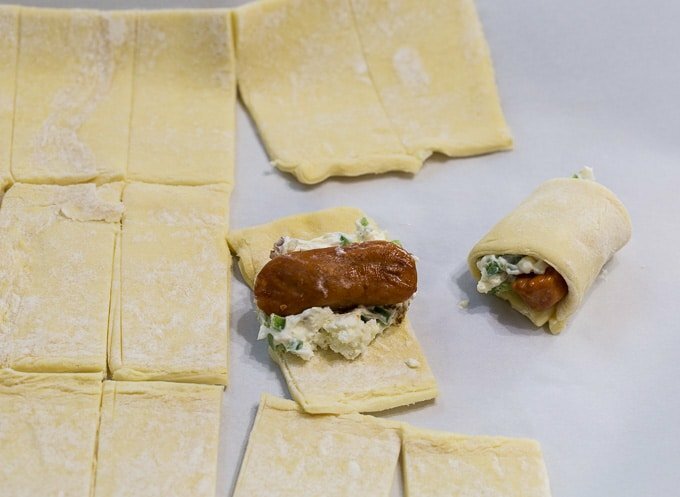 You’ll need 1 sheet of frozen puff pastry to make 18 pigs in a blanket. You can easily double the recipe to get 36. I love Jalapeno Popper everything! Try these other Jalapeno Popper recipes. 1 egg beaten together with a little water. In a small bowl, mix whipped cream cheese, bacon, and jalapenos together. Cut puff pastry into 6 equal strips (about 1-inch in width) and then cut each strip into 3 pieces for a total of 18. Spread a spoonful of cream cheese mixture on each piece of puff pastry. 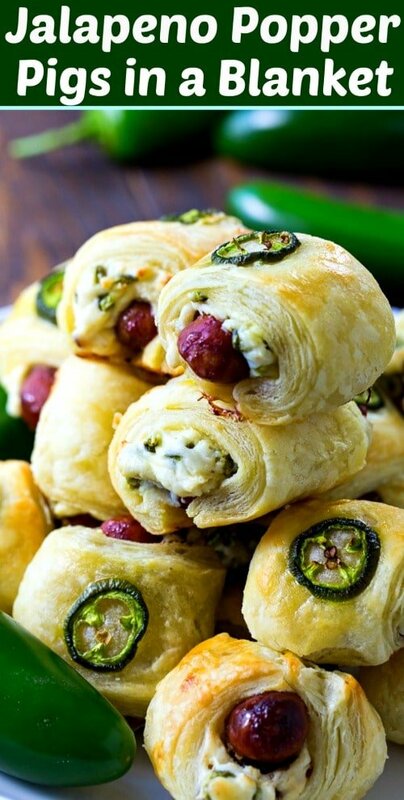 Place a cocktail wiener on each piece and roll the puff pastry around it. Brush edges with egg wash and seal well. Place seam side down on parchment paper-lined baking sheet. 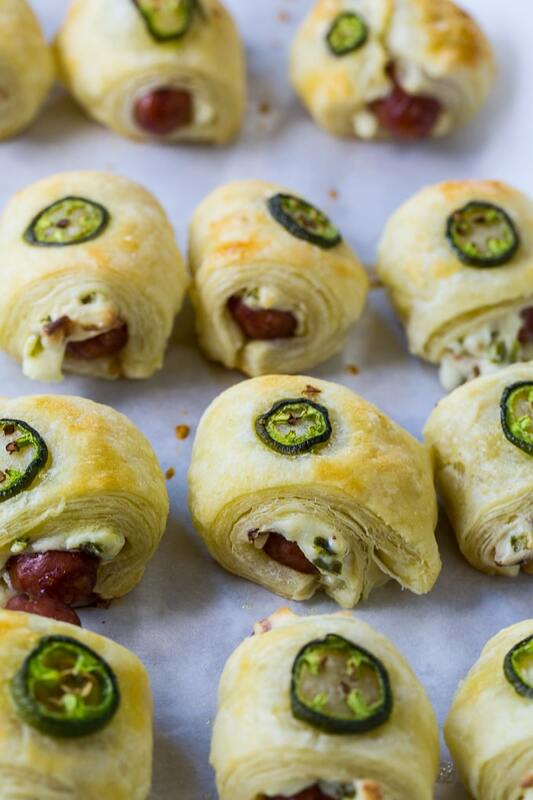 Brush tops of puff pastry with egg wash and place a jalapeno slice on each one. 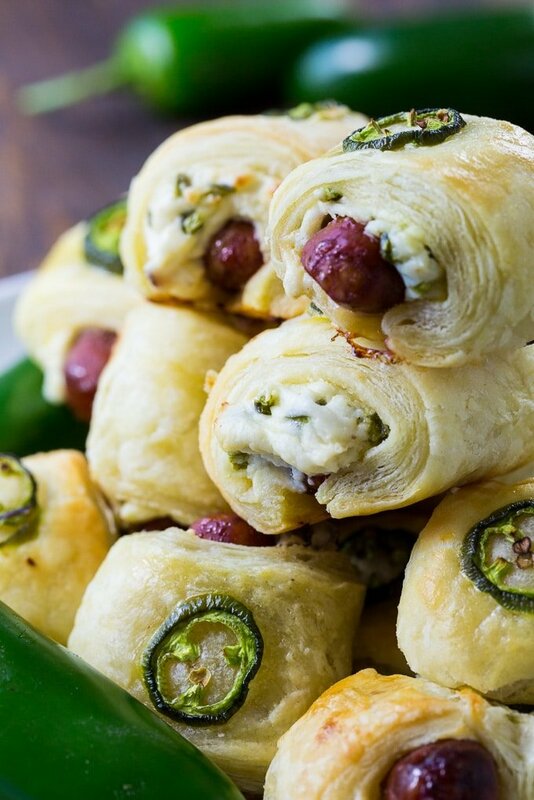 This entry was posted in Appetizers and tagged Jalapeno, Sausage, spicy. Bookmark the permalink. Just wondering if you could use hot dogs cut in small pieces instead of the little smokies or cocktail wieners? My family doesn’t seem to like anything other then the beef hot dogs. Yes, you could definitely use cut up hotdogs.